I got to see this movie on my recent trip to Hawaii; the new Boeings are pretty sweet in that they have personal television sets for each passenger with new movies and HBO. Feeling excited on my way there, I decided to dive in and catch up on some flicks. I sat there debating, should I watch this movie or not. I knew it was going to be emotional, but I decided to put it on, sit back and allow myself to wallow in my feelings for a bit. 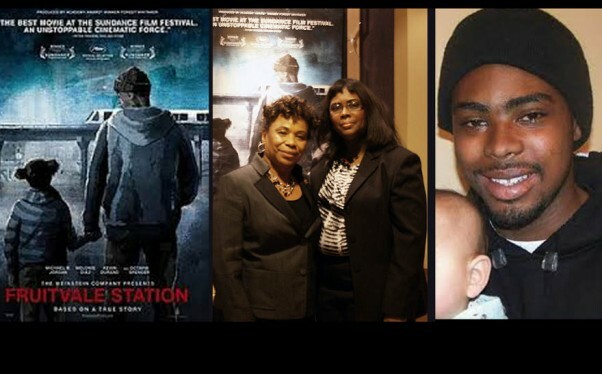 This movie, as many people out there know, is the true story of Oscar Grant, who was physically accosted and suffered from police brutality on New Year’s Eve 2009. In this day and age, where everything that happens in life is documented with smart phones and apps, people now have the ability and freedom to record any moment at any given time. 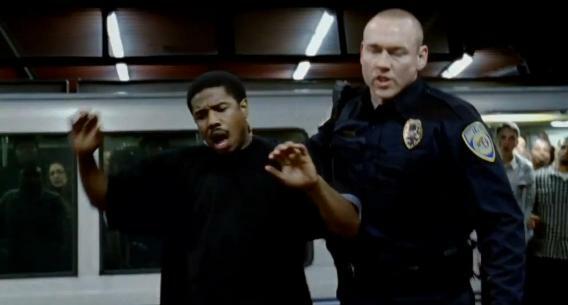 In this film, Oscar Grant’s (Michael B. Jordan) life and the testimony for who he was, was accurately documented on many witnesses smart phones of that fateful night where he was brutally and supposedly accidently killed by a policeman. The film shows us the day in his life leading up to his death. He was young, only 22 years old, but he was already a father and pseudo-husband to his girlfriend and baby momma, Sophina (Melonie Diaz). From the beginning, we see that Oscar is just a guy from the hood, trying to get on with his life and get through the day and challenges of life. He has that bit of thugness to him, he smokes weed and he has cheated on his girlfriend in the past. 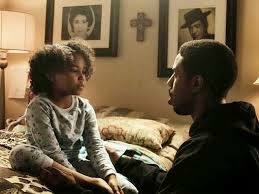 He is definitely no angel, not even in the eyes of his mother, Wanda (Octavia Spencer). She has been through his ups and downs in life, his jail stints and reckless behavior and in a sense is sick and tired of his crap, but she just wants the best for him. She fears him getting in trouble, so on hearing that he is going out for the night on New Year’s, tells him it may be best to just take the train, so they don’t get in any kind of trouble driving there and home. We see Oscar though, not only as a guy who has trouble holding down a supermarket job and relies on extra money selling weed, but as a guy with a real heart. He loves his daughter and the bond that is shown in the movie is so special and heart wrenching. 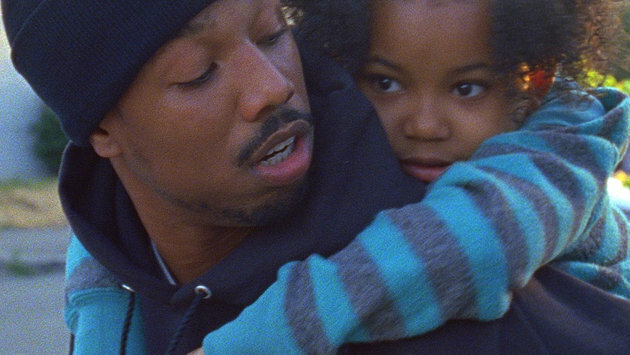 Regardless of what he did, Oscar was a great, loving father. What I liked about this movie, out of everything was the way the story was told. He was not painted as a martyr who died, but as a person who was real, who had faults and was nothing special, just an average guy trying to make it in this harsh world. 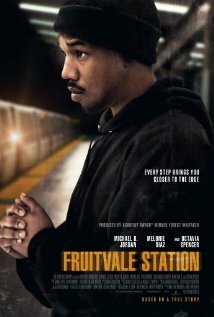 I thought the actors, specifically Michael B. Jordan (the Wire oh yeah!) and Melonie Diaz, did a great job, at showing vulnerability and an emotional toughness that was gritty and real. Another thing that I liked was how they told a timeline of the story, through text messages. I think in today’s society, texting and being on our phones all day is a real part of life. As a viewer, we got to see his interactions and the leading up to a pivotal moment with his messages. Where this movie lacked I believe is with showing the story between his mother and him, we get snippets of it, but it was not as deep as I would have liked. I would have preferred if we understood, a little more of his background and how he grew up and his relationship with his mother. 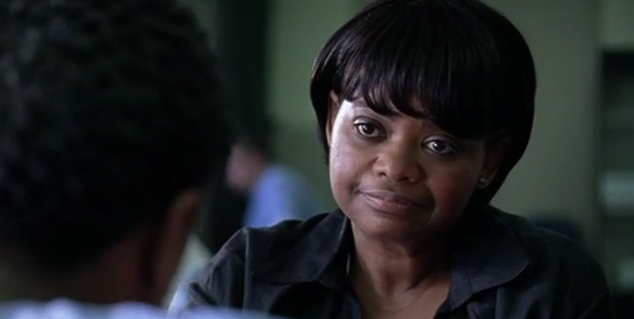 Although, Octavia Spencer delivers a great performance, I think she could have been given some deeper monologues and more screen time. By the end of this movie, I was trying to hide my emotions and tears so no one would see me. I almost felt like I was weeping all alone on the plane, but the movie really drew me in on an emotional level. I highly recommend this movie and it is so far one of my favorites of 2013. I look forward to seeing more movies the up and coming young actors, Jordan and Diaz. Agreed, more or less. Our only difference: I thought the relationship between Mom and Oscar pretty well realized. Thanks ! I wanted more, maybe that’s just me. I felt like she was barely on screen. Octavia was so good though! I think her the best Supporting Female of 2013. Easily. Diaz would be in my Top 3, as well. It’s a shame so few of the Awards ceremonies recognized these actors. Omg yes she could totally win it and I agree, I think Diaz didn’t get much attention for her role. Considering she did such a great job. Haha only kidding! What a start to your vacation!